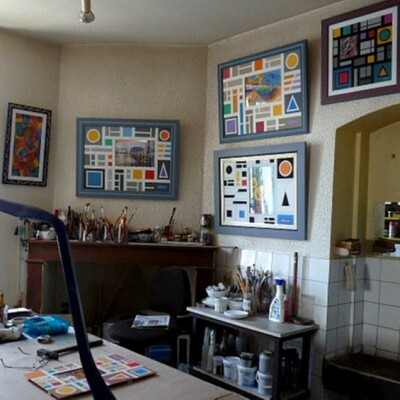 It’s in 1963 that Raymond Hanizet decides on to come to live in this house which he is completely going to renew to install there his studio and a Gallery where are exposed more than 1000 original paintings. 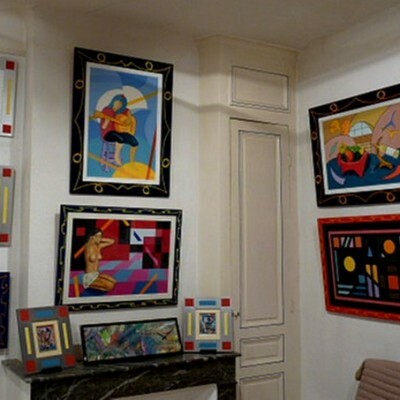 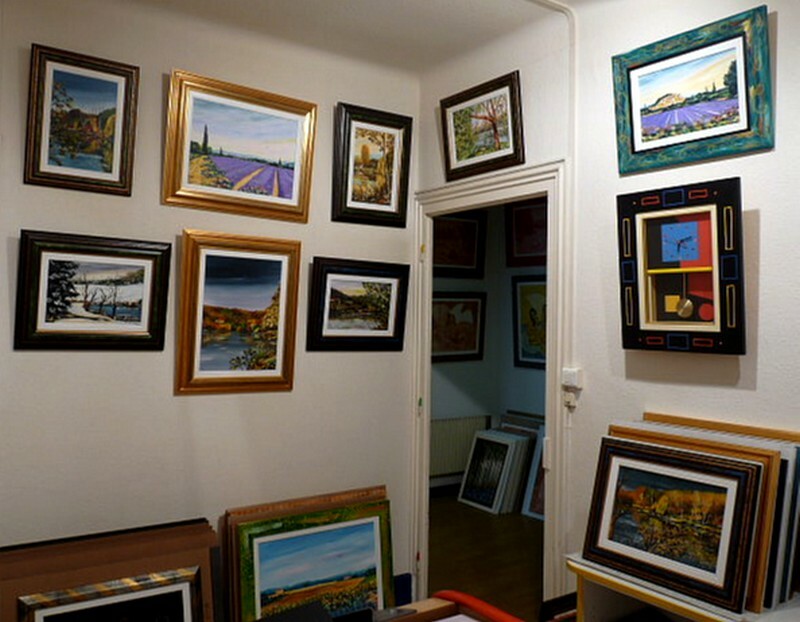 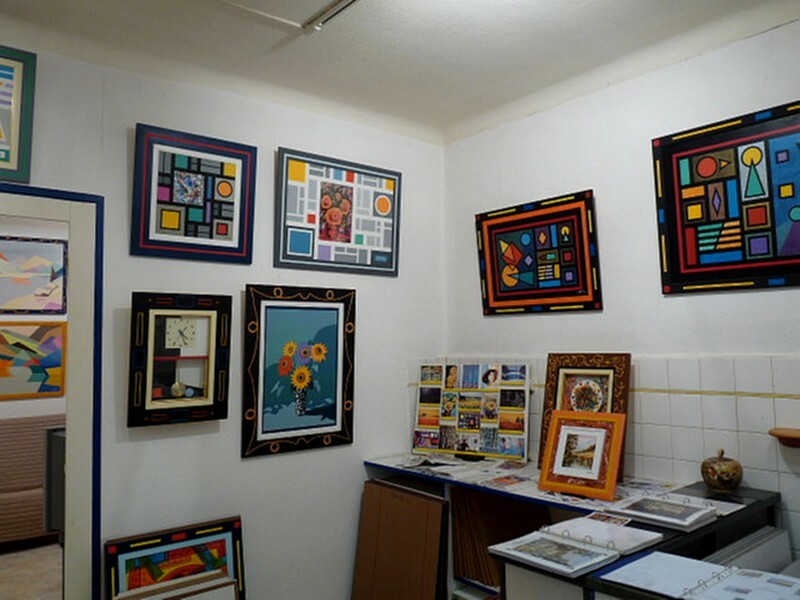 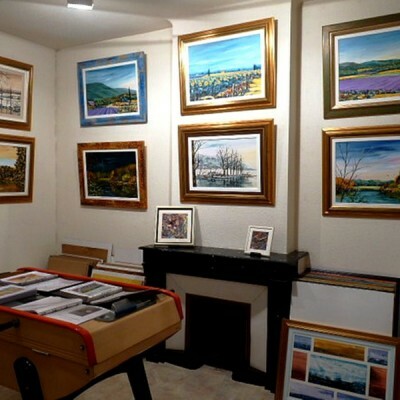 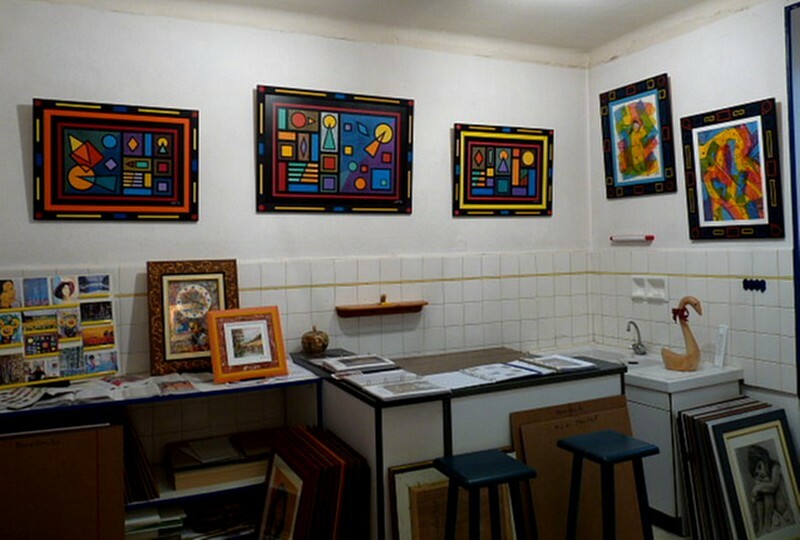 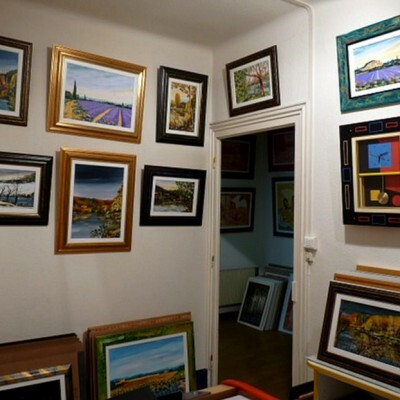 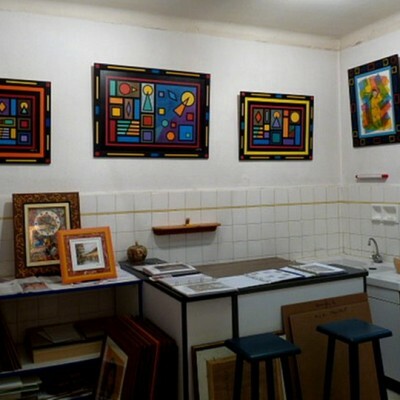 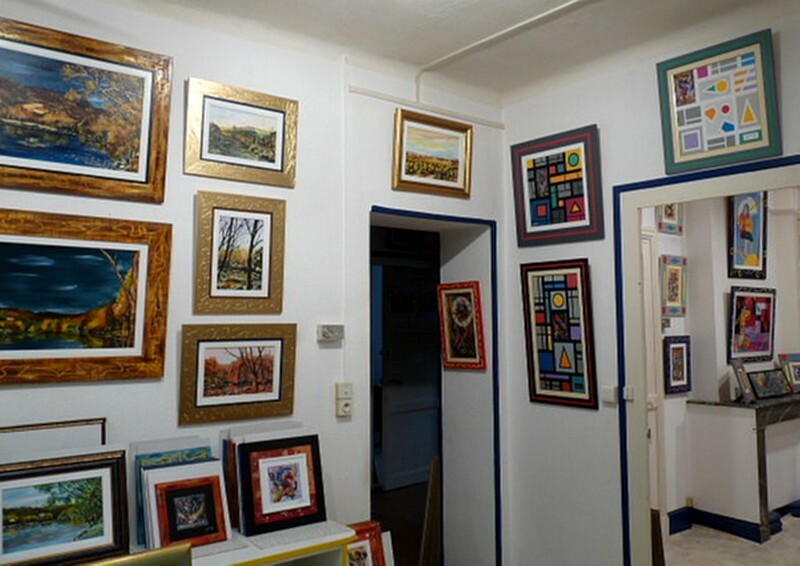 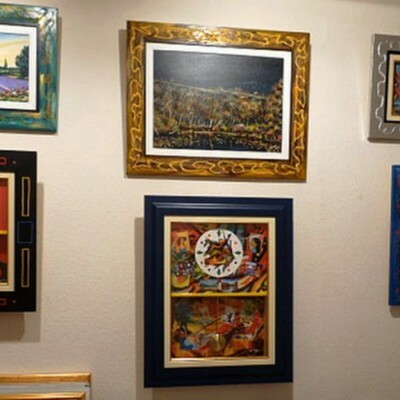 From the workshop of frame situated in the cellar up to the gallery of the first floor, all the house soaks in an artistic atmosphere… Raymond Hanizet will be happy to receive to you to be discovered his universe. Please, do not so hesitate to make an appointment. 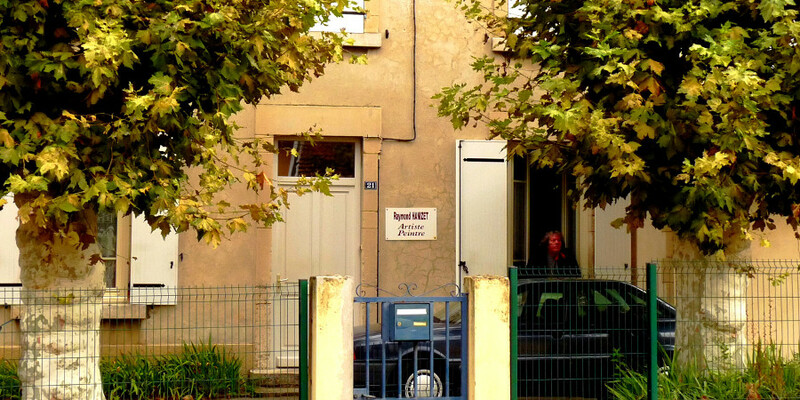 By waiting to meet you, Raymond Hanizet suggests you visiting his house. 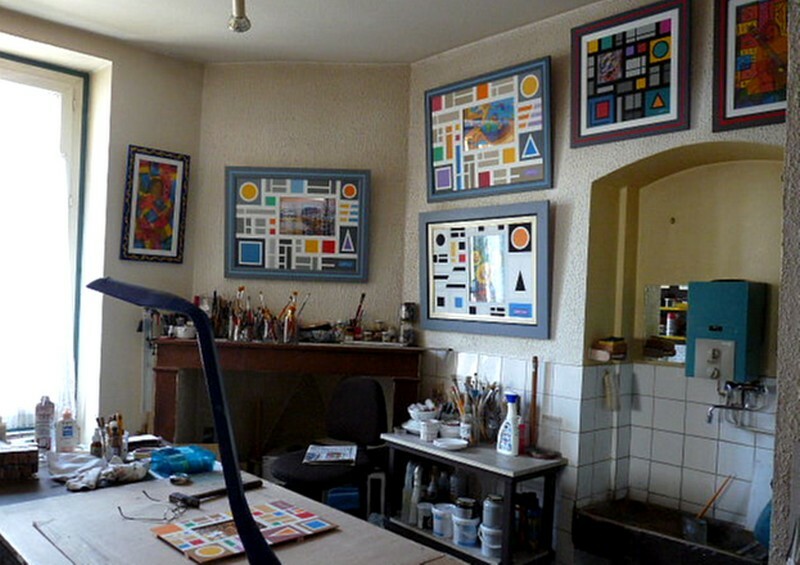 We shall begin with the studio, then we shall rise to discover the gallery. 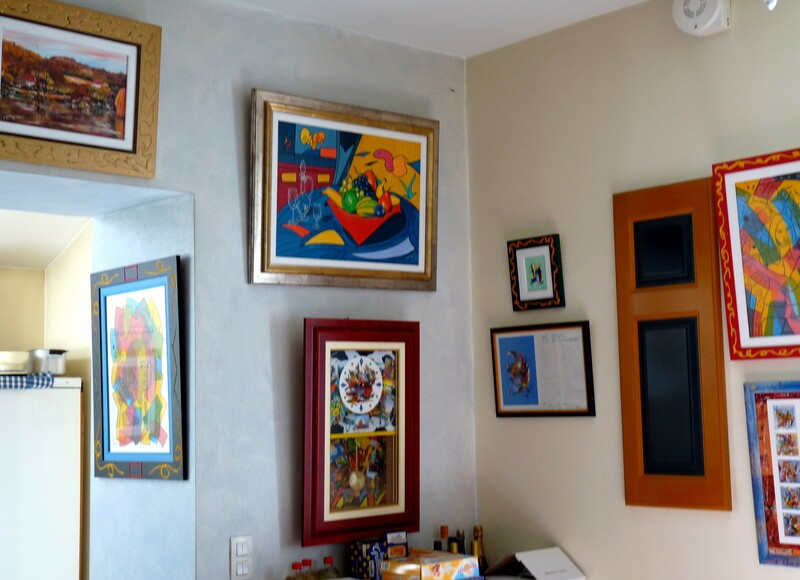 We shall end by some other important rooms of the house. 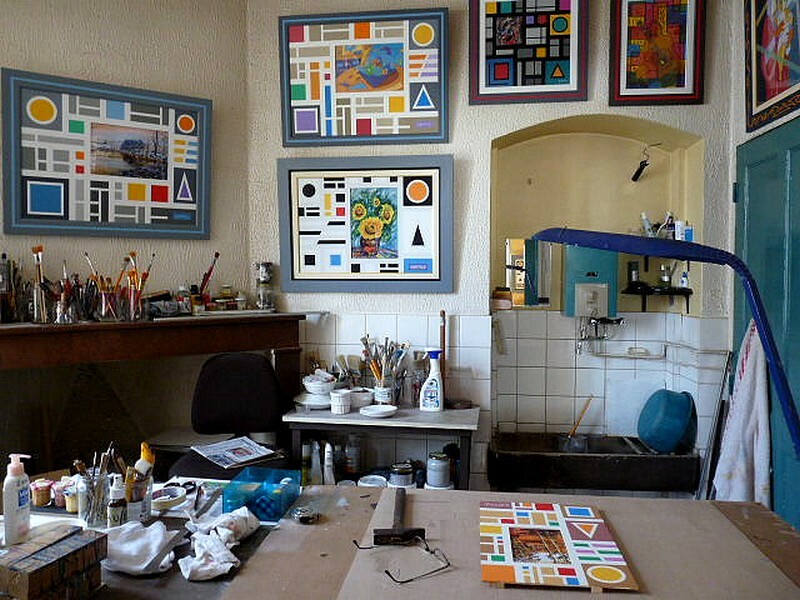 It is on this desk that Raymond Hanizet created the majority of his works. 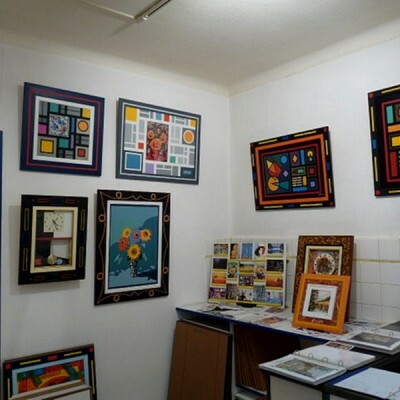 It is also here that he prepares his paintings. 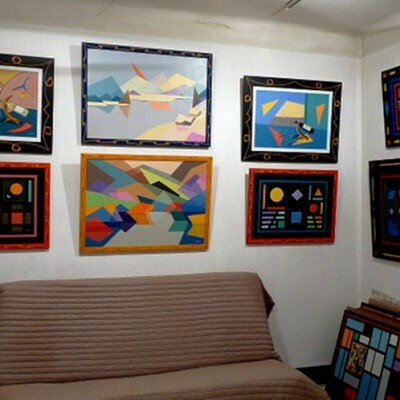 Adjacent to the studio, is the “rest’s place” where Raymond likes to come to relax. 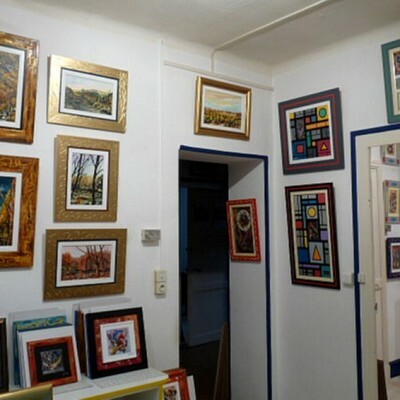 It contains some of the paintings of his private collection. 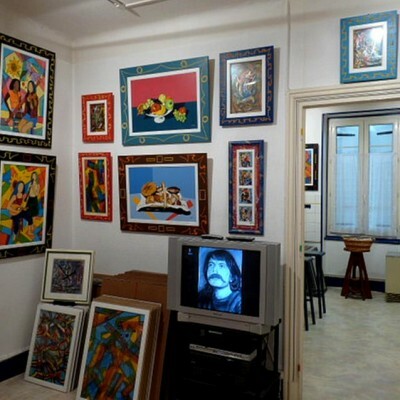 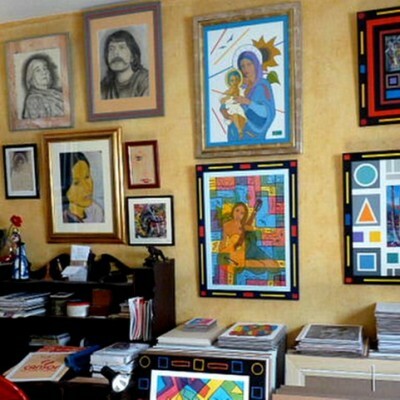 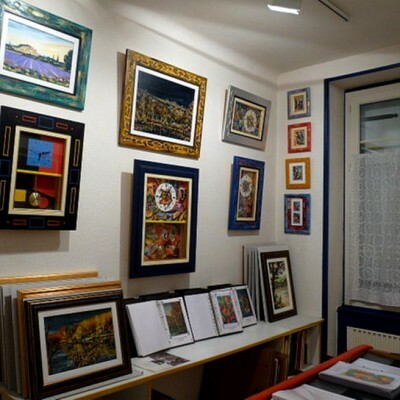 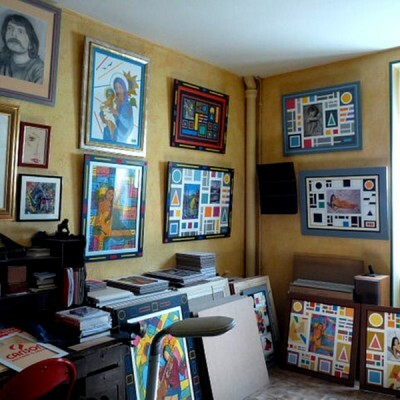 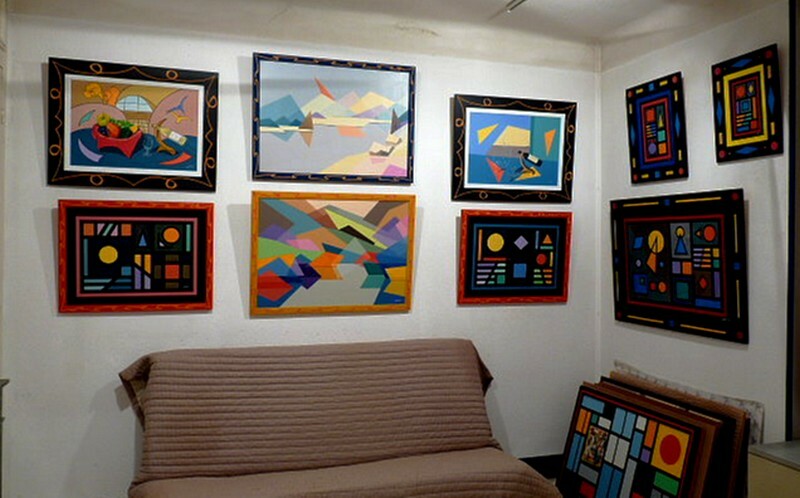 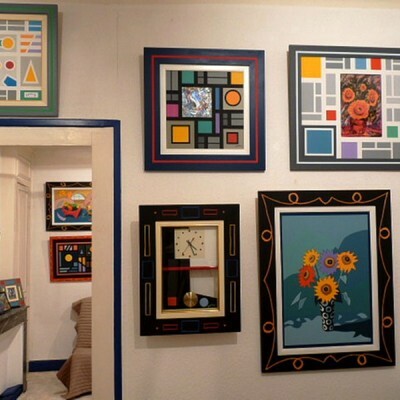 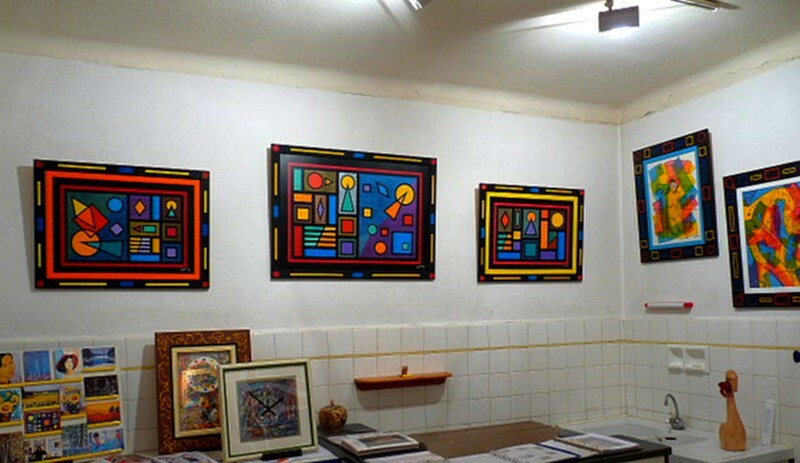 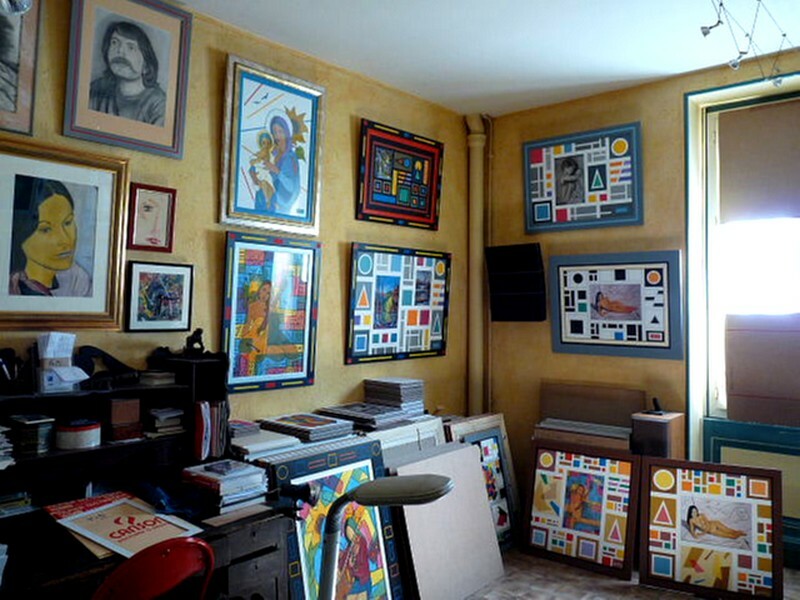 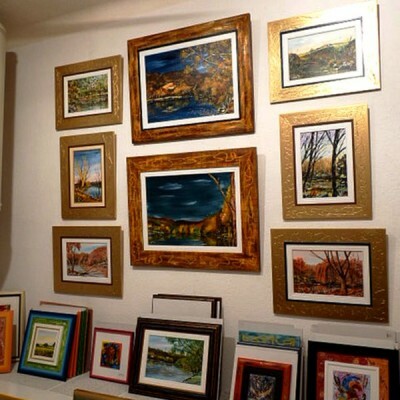 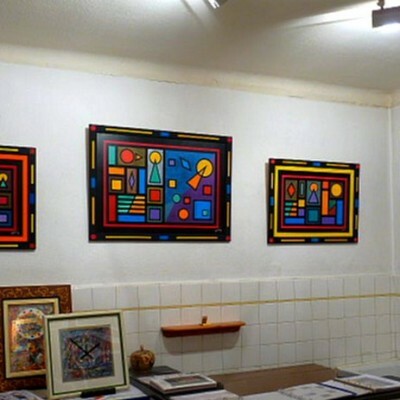 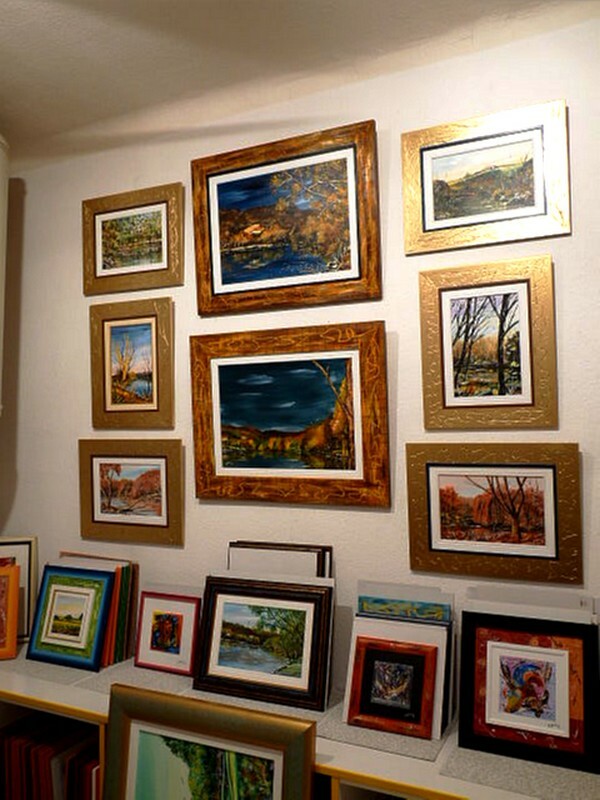 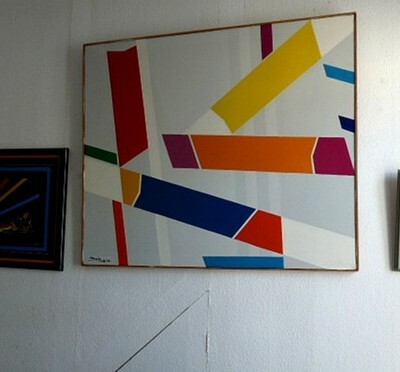 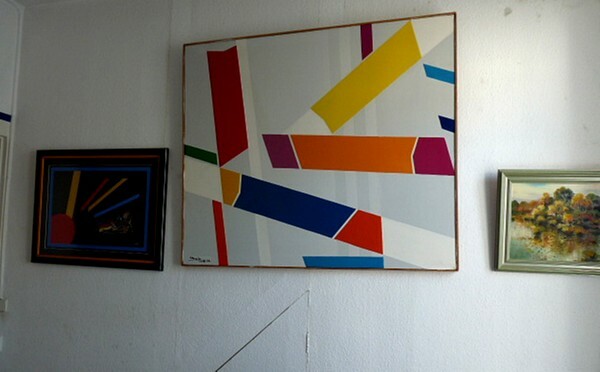 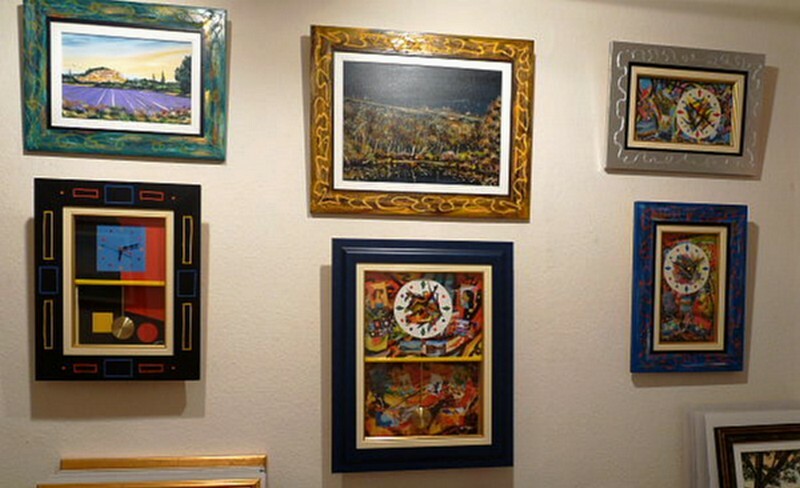 It is in the cellar of its house that Raymond installed his studio of frame. 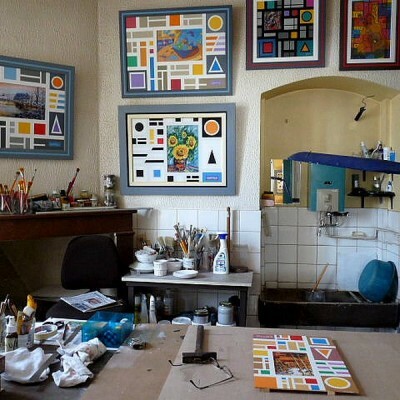 He arranges machines necessary for the conception of all the executives’ types. 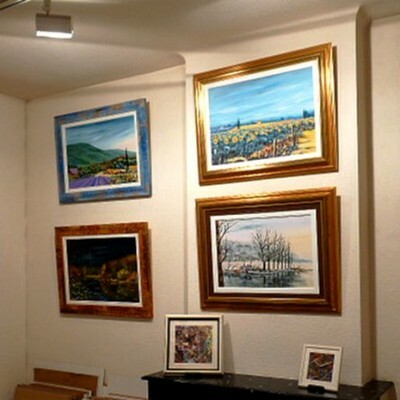 This first room of the gallery contains about thirty pictures, for the main part of the landscapes. 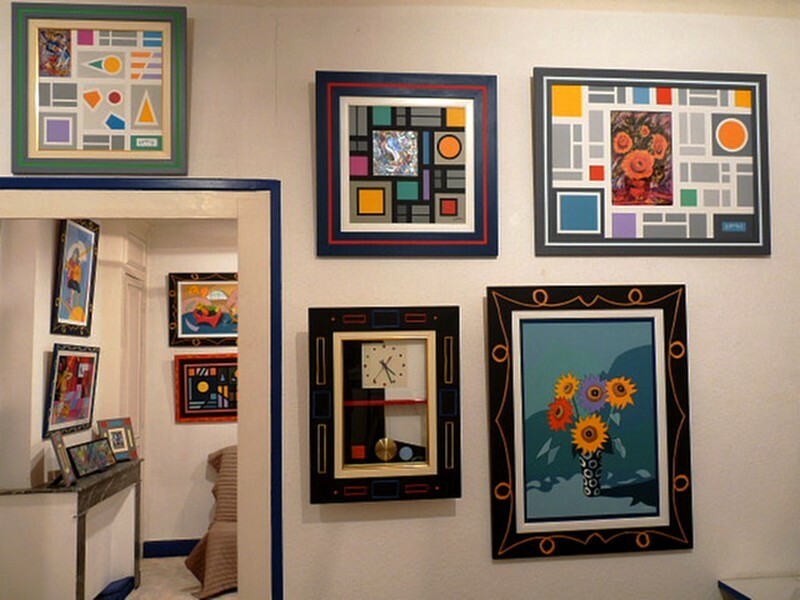 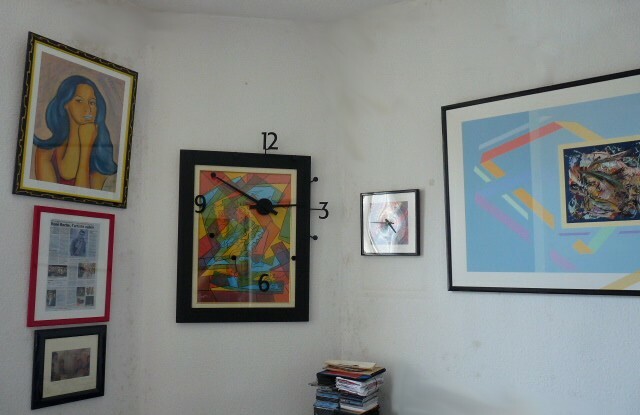 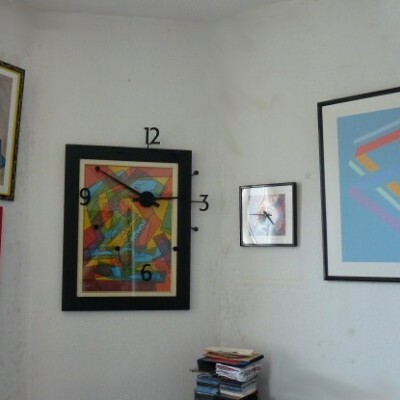 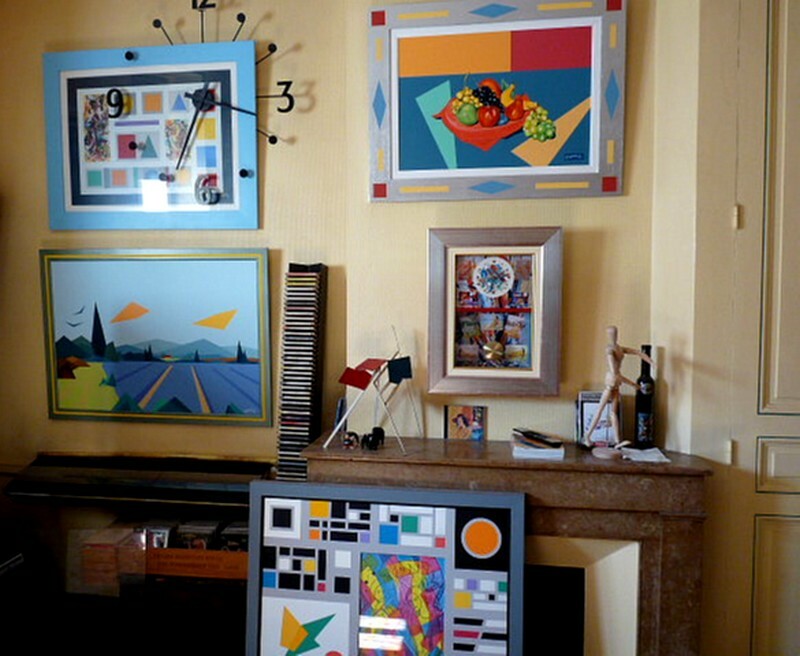 About twenty paintings, but also a set of different objects : watches, wood vases… decorated by the painter. 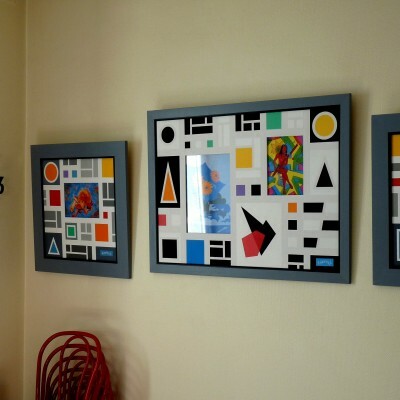 You will find a more precise description of it on the page ” Ideas Presents “. 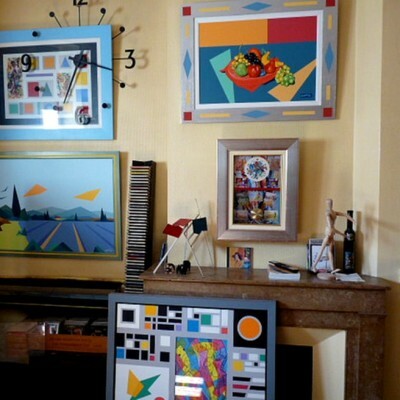 On a table are the coordinates of Raymond’s friends : restaurant , storekeepers, artisans… All these persons are quoted on the page ” thanks “. 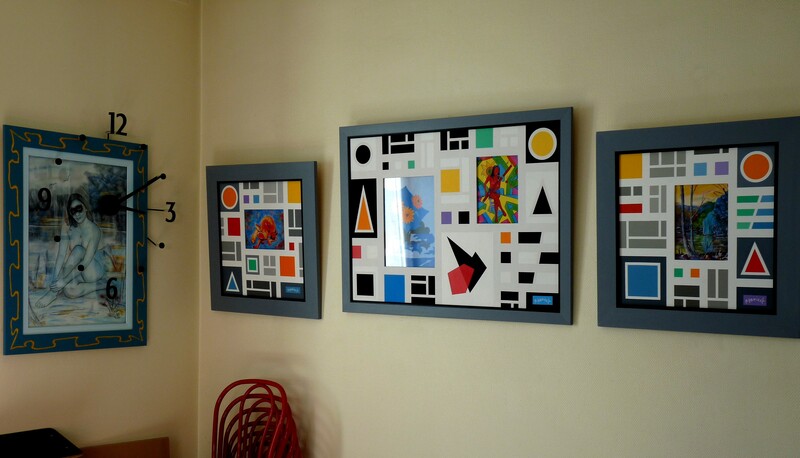 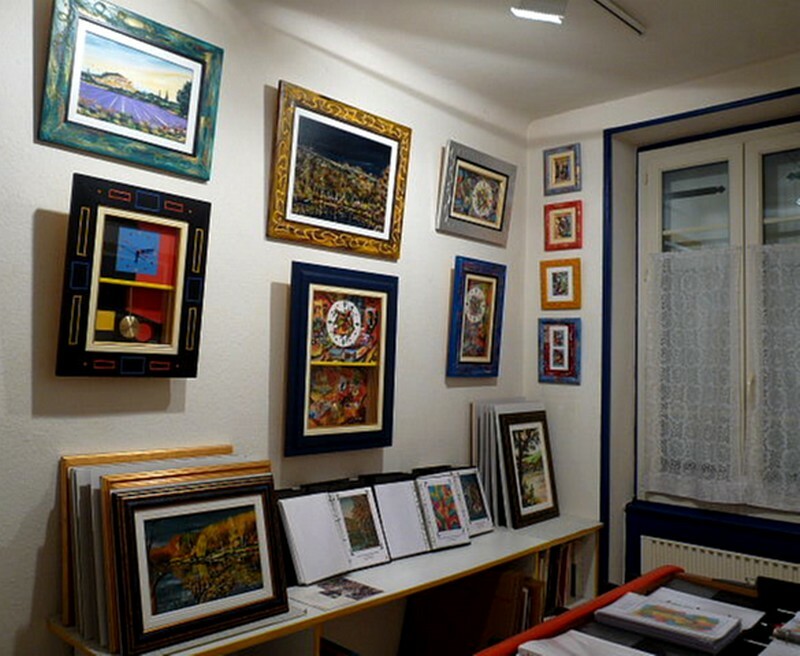 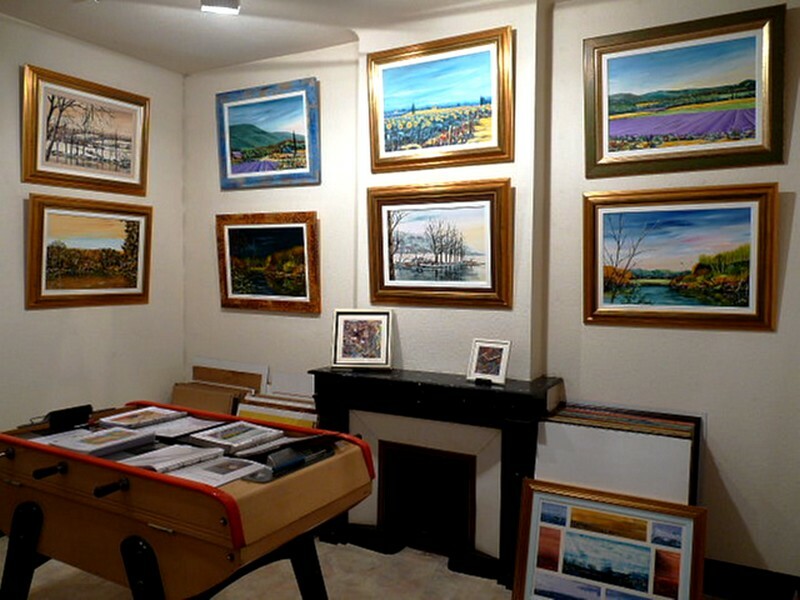 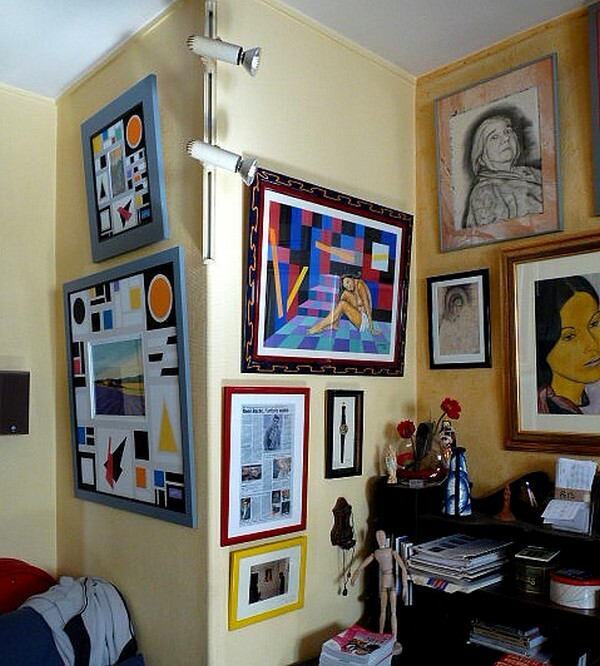 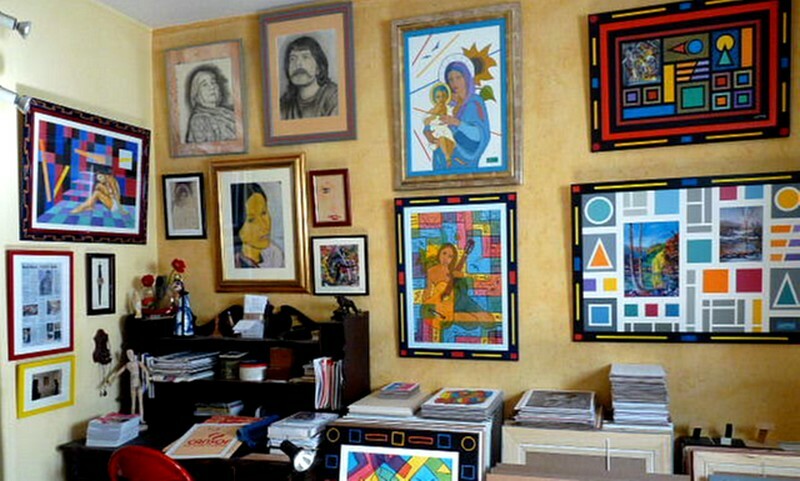 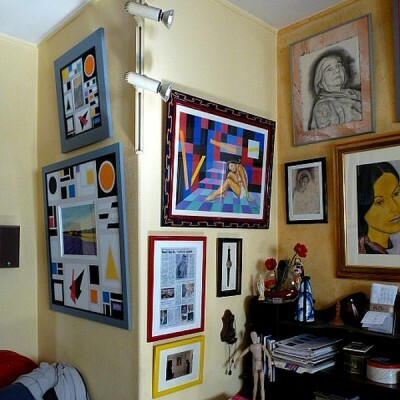 You will discover in this room about forty pictures, as well as some small entitled creations “Colours”. 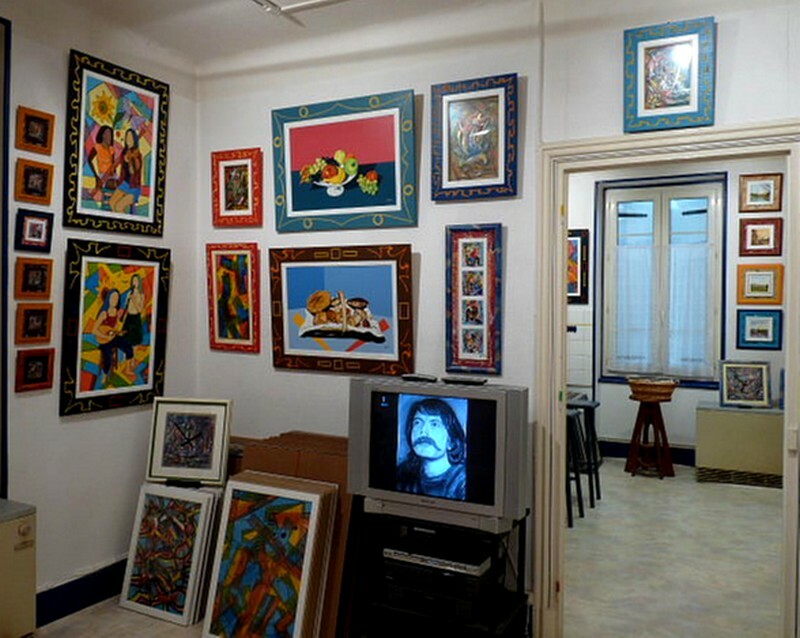 You will also find there a audiovisual equipment allowing you to consult a big part of Raymond Hanizet’s work on Interactive CD and film. 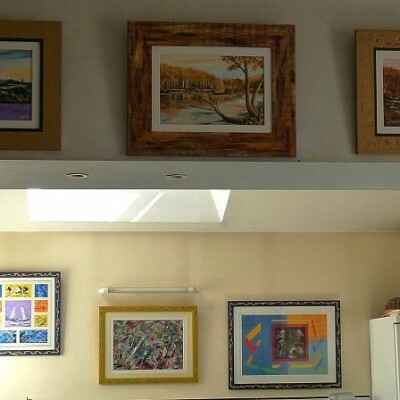 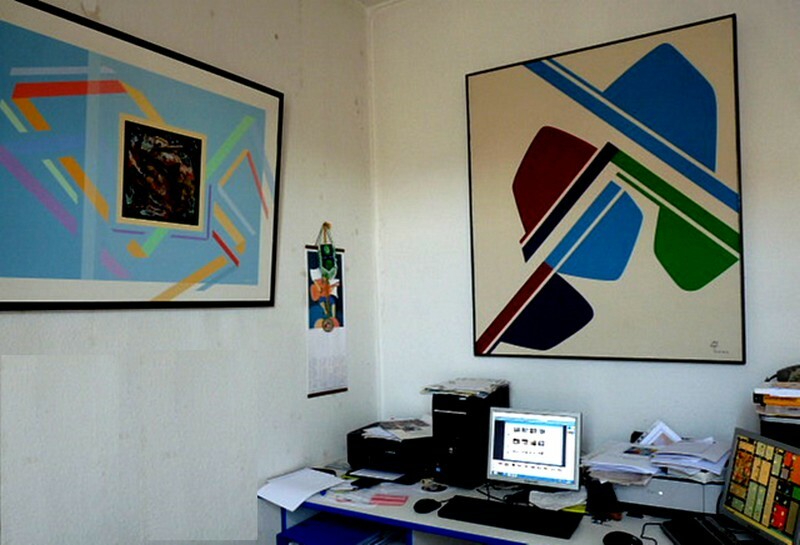 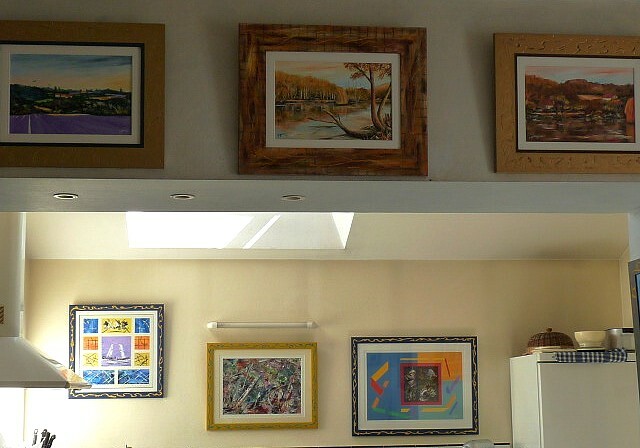 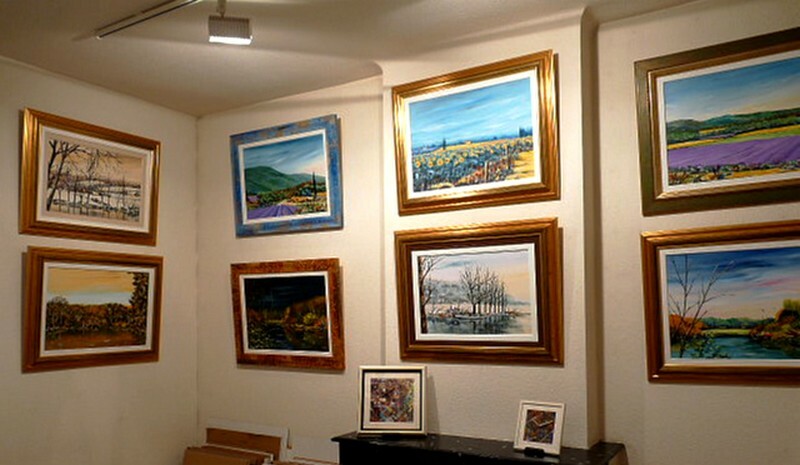 The office is decorated too with numerous paintings. 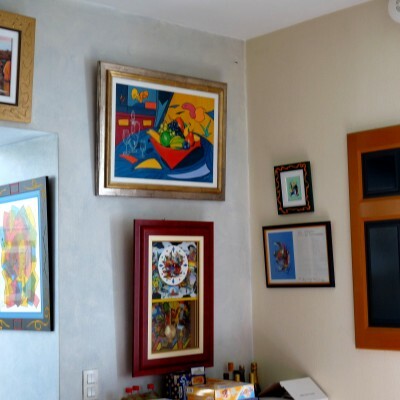 It is the reserved place of his partner, Myriam, that manages all the administrative part. 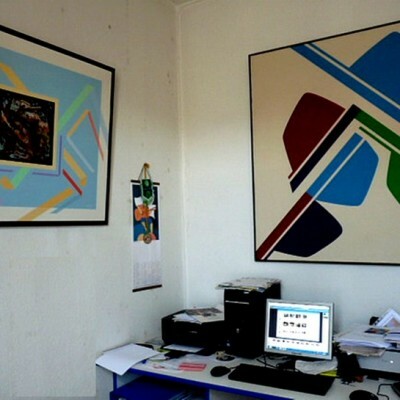 Connected to Internet since 1996, Raymond Hanizet is one of the first Viennois to have had his Web site. 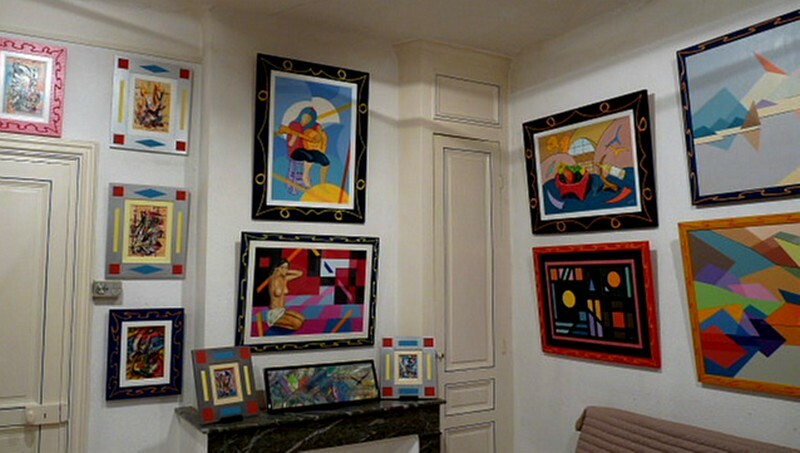 This room symbolises to him only Raymond and Myriam’s conviviality. 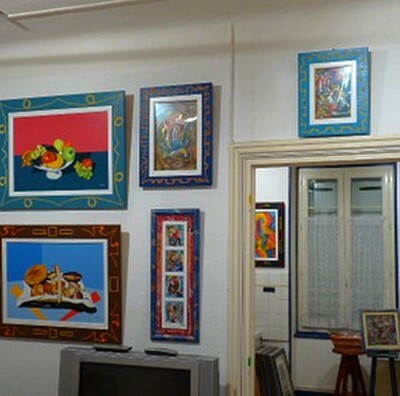 This room is very rarely empty: between the friends invited for the dinner and the receptions organised on the occasion of “Open Days”, when of animation and good remembers !